Besides the wakeboard competition, we’ll have TWO WORLD CHAMPIONS joining us! Liquid Force Team rider Bec Gange is current World Champion Wakeboarding. She will do some wakeboarding demos, and be around all weekend to promote the sport and the best brand in wakeboarding: Liquid Force! Just crowned World Champion Jetsurf is Alejandra Rivas. Jetsurf Costa Rica brought her down to Costa Rica to show how a Jetsurf board should be ridden. 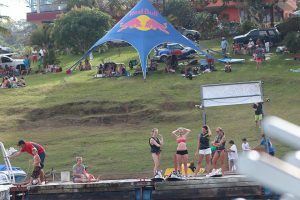 The idea behind the Copa FlyZone is to bring the wakeboard scene in Costa Rica together, and to grow the sport in our country. Besides that we want to let riders get used to a competition format. And oh yeah, let’s not forget: to have a good time! The Copa is for all levels. 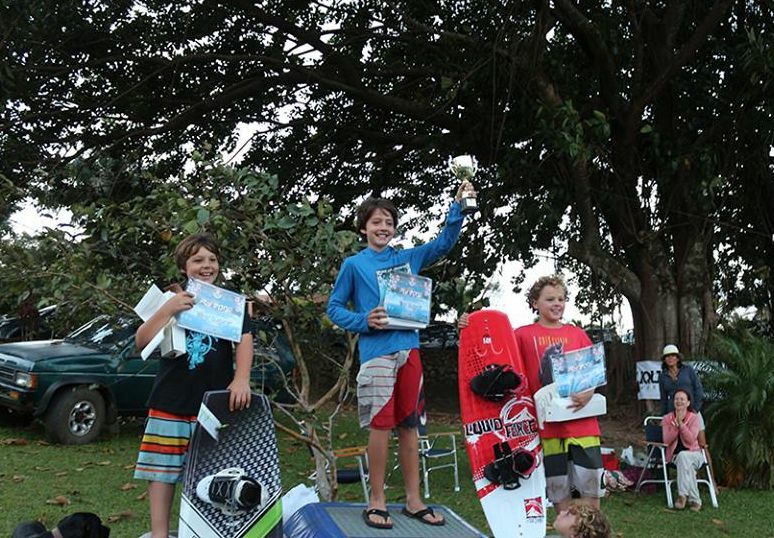 If you can get up on a wakeboard, you can enter the competition. Think you can’t do any tricks? Think again: waving at the judges in the boat is a trick! Touching the water with one hand is another. So there you go; no excuse NOT to participate! For the guys (and gals?) that throw inverts (/flips) there’s a separate category. 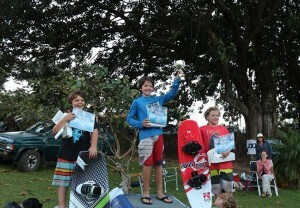 So if you can’t do any advanced tricks, you can still win in your own category. Besides wakeboarding, there will be Jetsurfing and Flyboarding demonstrations. Saturday night we’ll have a big BBQ followed by a wicked party with DJ’s and probably a live act. Stay tuned! 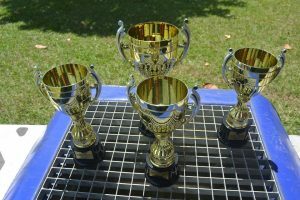 Inscription for the competition starts April 20. Program: Program Copa FlyZone 2015. 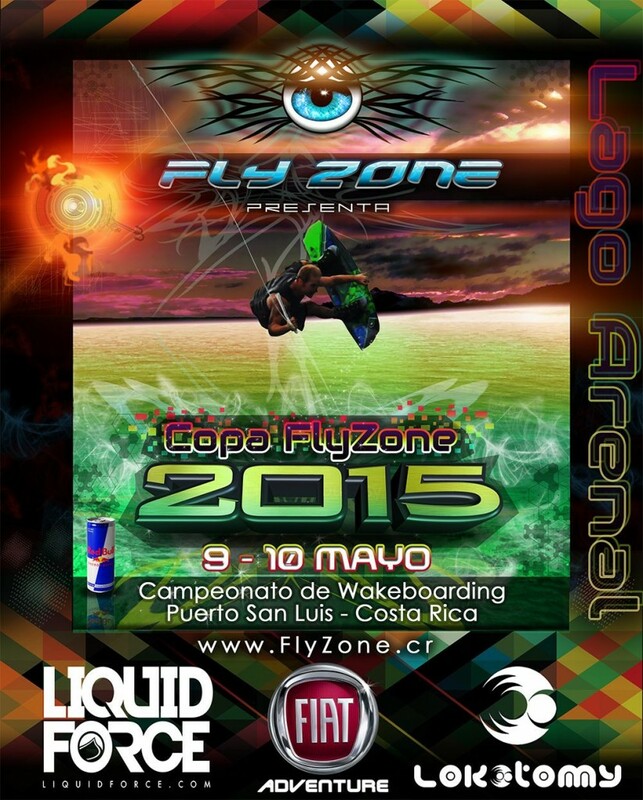 The Copa FlyZone 2015 is sponsored by: Liquid Force, FIAT Adventure, Red Bull, Lokotomy, Hotel Puerto San Luis. Each rider shall be allowed two passes through the wakeboard course during which time (s)he may perform any routine he chooses. All riders must be ready on the starting dock before the start of their run with wakeboard and life vest ready. 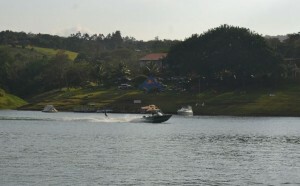 Judging of the routine begins when the rider enters the wakeboard course and ends when the rider exits the wakeboard course, or falls for a second time, or falls for the first time but within 100 meters of the end of the course of the 2nd run. Fallen rider must signal to towboat that he/she is OK.
Riders are encouraged to perform a smooth flowing routine with a wide variety of tricks. Each maneuver should be different and executed as cleanly as possible and taken to its limit. This reflects the level of technical difficulty and perfection of each maneuver performed, as well as the successful completion of the entire run with a minimum of falls. This reflects the degree of performance to which each maneuver was performed in terms of how big the moves were, as well as the overall performance of the run. This reflects the overall composition of the run in terms of rider’s ability to perform a variety of maneuvers in a flowing, creative sequence. This also includes the difficulty of moves performed in an overall run. Error: Error validating access token: Session has expired on Friday, 23-Nov-18 07:34:26 PST. The current time is Friday, 19-Apr-19 02:26:17 PDT.